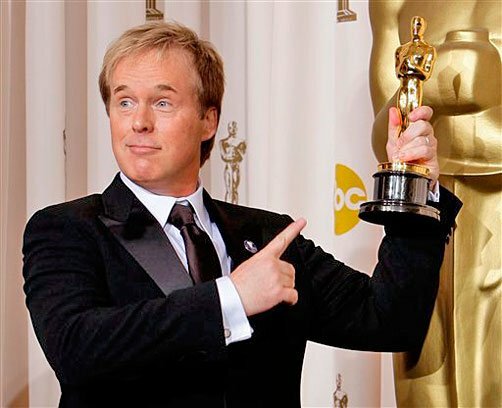 Film fans love Brad Bird. He’s directed three of the greatest animated movies ever – The Iron Giant, The Incredibles, and Ratatouille (the last two were made at Pixar and won him Oscars) – and made a successful live-action debut with Mission: Impossible – Ghost Protocol. Recently, he’s been developing a disaster film entitled 1906, about the infamous San Francisco earthquake with Warner Bros. and Walt Disney Pictures set to finance the film. They balked at the $200 million budget required for the film and asked him to look elsewhere. In the aftermath of Ghost Protocol, Bird asked Disney if he could bring back 1906 but they declined again, saying his success with Mission: Impossible wasn’t enough to prove he could handle a live-action film since Mission: Impossible was already a successful film franchise). At the same time, Damon Lindelof had just finished his work on Lost and rewriting the script to Prometheus. He met with Disney, the owners of ABC and Lost, about possibly doing something in a feature capacity. He began writing a screenplay entitled 1952. As with Lost, it was shrouded in secrecy. This is where Brad Bird comes in. Disney, of course, doesn’t want him getting pissed off and walking out the door. So to play nice with him, they introduce him to Lindelof and they begin to work together on this new project. This summer, it was announced that Bird would direct and co-write the tentpole film with Lindelof, but no more details were released. Today though, we finally have some new information courtesy of Vulture. For one, the film will NOT be set in 1952; rather, it will be set in modern times. It supposedly follows a man in his 40s, caught up in the middle of aliens contacting Earth. Sound familiar? That’s right, Disney’s looking to make their own style of a Close Encounters of the Third Kind movie. When developing the script, Lindelof met with Disney executive Sean Bailey (producer of TRON: Legacy) to get a specific “artifact” from the Disney vault: unused ideas and blueprints from the Imagineering team in a box labeled “That Darn Cat!” (a Disney film from the 1960s starring Dean Jones and Hayley Mills). Supposedly these ideas and blueprints involved alien encounters. While we still don’t have a concrete clue as to what we’ll eventually see on-screen, the rumors being thrown around are extremely interesting. I, for one, can’t wait to hear more. What do you think Brad Bird and Damon Lindelof have cooked up for us with 1952?